2008 Nissan Sentra 2.0 25/33 City/Highway MPG Clean CARFAX. CARFAX One-Owner. ONE OWNER, CLEAN CARFAX...NO ACCIDENTS, CVT with Xtronic, Charcoal w/Suede-Tricot Cloth Seat Trim, Air Conditioning, AM/FM/CD w/4 Speakers, CD player, Driver door bin, Front Center Armrest, Power steering, Power windows, Tilt steering wheel!! Thank you for shopping at Olympia Nissan. We've built a car buying process designed around you to save you time. If we don't have exactly what you're looking for, we'll help you find the right vehicle for your lifestyle. It's that simple. Call us today at 360.754.5525. Vehicle may have dealer installed accessories for display purposes only, and may not be reflected in Selling Price. A dealer documentary service fee of up to $150 may be added to the sale price or capitalized cost. Vehicle may have dealer installed accessories for display purposes only, and may not be reflected in Selling Price. All current incentives listed are purchase only. See dealer for lease incentives. 2012 Ford Focus SE 26/36 City/Highway MPG CLEAN CARFAX...NO ACCIDENTS, 4 Speakers, ABS brakes, Air Conditioning, CD player, Compass, Dual front impact airbags, Front fog lights, Fully automatic headlights, Illuminated entry, Power door mirrors, Power windows, Radio: AM/FM Single-CD/MP3-Capable, Remote keyless entry, Steering wheel mounted audio controls, Telescoping steering wheel, Tilt steering wheel!! Awards: * Car and Driver 10 Best Cars * 2012 IIHS Top Safety Pick * 2012 KBB.com Top 10 Coolest New Cars Under $18,000 * 2012 KBB.com Top 10 Road Trip Cars * 2012 KBB.com Brand Image Awards Car and Driver, January 2017. Reviews: * Buyers seeking a compact vehicle with class-leading character and technology - from MyFord Touch infotainment and Active Park Assist to corner-taming torque-vectoring control and a PowerShift dual-clutch 6-speed automatic transmission - will find plenty to admire in the 2012 Ford Focus line. Source: KBB.com * Nimble handling; refined and quiet ride; stylish and well-made interior; lively engine; abundant list of upscale and high-tech options. 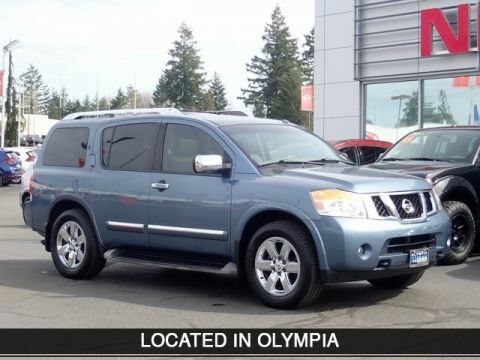 Source: Edmunds Thank you for shopping at Olympia Nissan. We've built a car buying process designed around you to save you time. If we don't have exactly what you're looking for, we'll help you find the right vehicle for your lifestyle. It's that simple. Call us today at 360.754.5525. Vehicle may have dealer installed accessories for display purposes only, and may not be reflected in Selling Price. A dealer documentary service fee of up to $150 may be added to the sale price or capitalized cost. Vehicle may have dealer installed accessories for display purposes only, and may not be reflected in Selling Price. All current incentives listed are purchase only. See dealer for lease incentives. 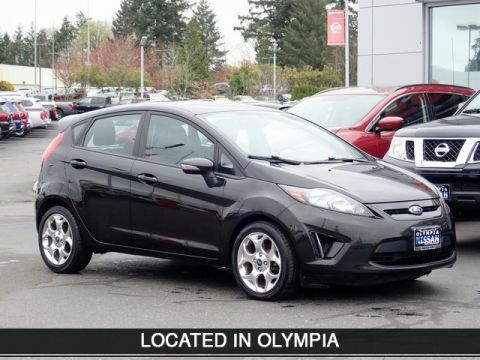 2013 Ford Fiesta Titanium 29/39 City/Highway MPG Clean CARFAX. CARFAX One-Owner. ONE OWNER, CLEAN CARFAX...NO ACCIDENTS, 6 Speakers, ABS brakes, Air Conditioning, Alloy wheels, Auto-dimming Rear-View mirror, CD player, Heated door mirrors, Heated front seats, Heated Leather-Trimmed Front Bucket Seats, Illuminated entry, Power door mirrors, Power windows, Radio: AM/FM Stereo/CD Player/MP3 Capable, Remote keyless entry, Steering wheel mounted audio controls, Telescoping steering wheel, Tilt steering wheel, Turn signal indicator mirrors!! Awards: * 2013 IIHS Top Safety Pick * 2013 KBB.com Brand Image Awards Reviews: * If you're looking for a fuel-efficient small car, but you don't want to sacrifice the interior quality or modern features usually found only on larger, more expensive models, the 2013 Ford Fiesta sub-compact is an easy choice. Source: KBB.com * Sporty driving dynamics; refined yet lively engine; strong fuel economy; welcoming cabin; available luxury features. 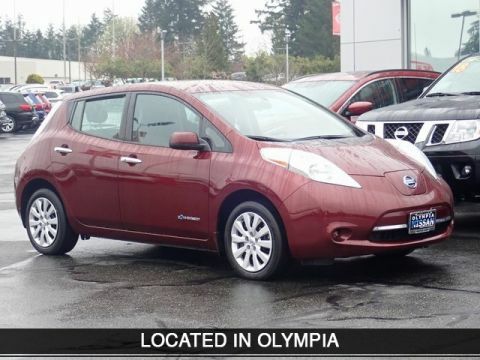 Source: Edmunds Thank you for shopping at Olympia Nissan. We've built a car buying process designed around you to save you time. If we don't have exactly what you're looking for, we'll help you find the right vehicle for your lifestyle. It's that simple. Call us today at 360.754.5525. Vehicle may have dealer installed accessories for display purposes only, and may not be reflected in Selling Price. A dealer documentary service fee of up to $150 may be added to the sale price or capitalized cost. Vehicle may have dealer installed accessories for display purposes only, and may not be reflected in Selling Price. All current incentives listed are purchase only. See dealer for lease incentives. 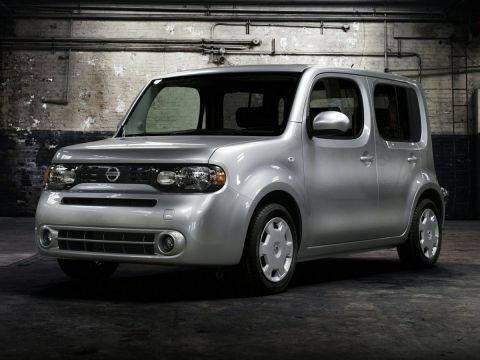 2010 Nissan Cube 1.8 S 27/31 City/Highway MPG Clean CARFAX. CLEAN CARFAX...NO ACCIDENTS, Alloy Wheels, 6 Speakers, ABS brakes, Air Conditioning, AM/FM/CD Radio, Anti-whiplash front head restraints, Front reading lights, Illuminated entry, Leather steering wheel, Power door mirrors, Power windows, Remote keyless entry, Steering wheel mounted audio controls, Tilt steering wheel!! Awards: * 2010 KBB.com 10 Best New Road Trip Vehicles * 2010 KBB.com Top 10 Coolest New Cars Under $18,000 Thank you for shopping at Olympia Nissan. We've built a car buying process designed around you to save you time. If we don't have exactly what you're looking for, we'll help you find the right vehicle for your lifestyle. It's that simple. Call us today at 360.754.5525. Vehicle may have dealer installed accessories for display purposes only, and may not be reflected in Selling Price. A dealer documentary service fee of up to $150 may be added to the sale price or capitalized cost. Vehicle may have dealer installed accessories for display purposes only, and may not be reflected in Selling Price. All current incentives listed are purchase only. See dealer for lease incentives. 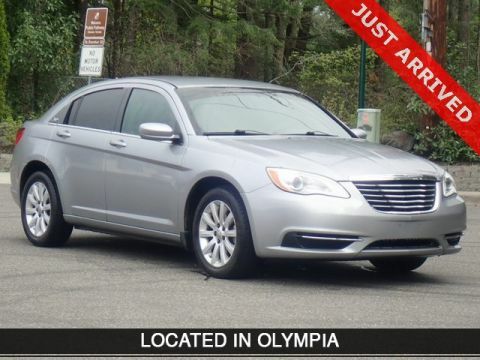 2013 Chrysler 200 Touring Clean CARFAX. ***360-754-5500***. 20/31 City/Highway MPG Awards: * Ward's 10 Best Engines * 2013 IIHS Top Safety Pick * 2013 KBB.com Brand Image Awards Reviews: * If a powerful V6 engine, European-inspired ride and handling and a lavish interior are at the top of your mid-size sedan shopping list, the 2013 Chrysler 200 is tailor-made for you. The 200 Convertible offers seating for four and the only retractable hardtop in this price segment. Source: KBB.com * Lots of features for the price; strong V6 engine; composed ride and handling; available convertible model. Source: Edmunds Thank you for shopping at Olympia Jeep. We've built a car buying process designed around you to save you time. If we don’t have exactly what you’re looking for, we'll help you find the right vehicle for your lifestyle. It’s that simple. Call us today at 360-754-5500. Plus you'll save an average additional tax savings over the competition of $240.00 when you buy from Olympia Chrysler Jeep in the Olympia Auto Mall. Vehicle may have dealer installed accessories for display purposes only, and may not be reflected in Selling Price. A dealer documentary service fee of up to $150 may be added to the sale price or capitalized cost. All current incentives listed are purchase only. See dealer for lease incentives. 2014 Ford Fusion SE Clean CARFAX. ***360-754-5500***. 22/34 City/Highway MPG Awards: * 2014 IIHS Top Safety Pick+ * 2014 KBB.com 10 Best Hybrids Under $30,000 * 2014 KBB.com Brand Image Awards Reviews: * If you're looking for a sporty sedan, a luxurious touring car, a fuel-efficient family car or just something to impress the neighbors, you'll find it all in the 2014 Ford Fusion. Source: KBB.com * Fuel-efficient turbocharged engines; sharp handling; composed ride; quiet cabin; advanced technology and safety features; eye-catching style; available all-wheel drive. Source: Edmunds * The 2014 Ford Fusion has the upscale style and front grille that resemble higher-priced European vehicles, yet with a price tag families will appreciate. The interior has a sleek yet accessible modern look, complemented by shiny angled trim that adds to its edgy feel. Also, the Fusion has been given an assortment of interesting colors, boldly angled front headlights, and exciting new wheel designs. Plus, with engine choices that range from 175 to 240 Horsepower on various models, it has the power to add excitement back into your driving. The Fusion comes in 8 trims: the Base S, SE, S Hybrid, Hybrid SE, Titanium, Hybrid Titanium, Fusion Energi SE, and Fusion Energi Titanium. The Fusion has some notable innovations related to fuel, charging, and related capabilities. One is an Easy Fuel capless system when you fill up at the pump. The other is a lighted ring around the charge port on the Energi Plug-in model. It gets progressively brighter as the car charges until it is at full brightness when the Fusion is fully charged. The Energi can run exclusively on electric power up to 21 miles, and then the gasoline engine is engaged to keep it going. The Hybrid model can drive up to 62 mph on electric power alone, and it also switches between the gas and electric motors. The Base S Model includes Ford's SYNC wireless communication system with voice control, 16-inch wheels, an AM FM CD Radio with Auxiliary input and four speakers, tilt steering wheel, and manual climate control. It comes with a 2.5-Liter, 4-Cylinder, Duratec Engine, with 6-Speed Automatic Transmission that gets an EPA estimated 22 MPG City and 34 MPG Highway. More expensive trims give you features like rear air vents, a rearview camera, Sony Premium Sound System with Satellite Radio, leather seats, and a 2.0-liter turbocharged engine. Plus, look for optional technology like Active Park Assist, Blind-Spot Monitoring, a Navigation System, and the amazing Lane Keeping System. Come drive the 2014 Ford Fusion Today! Source: The Manufacturer Summary Thank you for shopping at Olympia Jeep. We've built a car buying process designed around you to save you time. If we don’t have exactly what you’re looking for, we'll help you find the right vehicle for your lifestyle. It’s that simple. Call us today at 360-754-5500. Plus you'll save an average additional tax savings over the competition of $240.00 when you buy from Olympia Chrysler Jeep in the Olympia Auto Mall. Vehicle may have dealer installed accessories for display purposes only, and may not be reflected in Selling Price. A dealer documentary service fee of up to $150 may be added to the sale price or capitalized cost. All current incentives listed are purchase only. See dealer for lease incentives. 2014 Jeep Patriot Sport Clean CARFAX. ***360-754-5500***. Odometer is 12919 miles below market average! 23/28 City/Highway MPG Awards: * 2014 IIHS Top Safety Pick * 2014 KBB.com 10 Most Affordable SUVs * 2014 KBB.com 5-Year Cost to Own Awards Reviews: * If you live in an area where snow and inclement weather are regular occurrences, the 2014 Jeep Patriot's low cost 4-wheel drive model should look quite appealing. When equipped with Freedom Drive II, this little compact can go where many of its rivals dare not. Source: KBB.com * Comfortable front seats; a few clever features; above-average off-road capability when properly equipped. Source: Edmunds * The 2014 Patriot has a body style that hearkens back to the Cherokee of the past but with a refreshingly modern twist. Its geometric angles, bold fender flares, and body colored grille freshen up the look while still maintaining the familiar Jeep look and feel that people love. It is available in three models: Sport, Latitude and Limited. The Sport and Latitude come standard with a 2.0-Liter, 4-Cylinder 158 horsepower engine. The Limited comes standard with a 2.4-liter, 4-Cylinder engine with 172 horsepower, and it is an option for other two models. The Sport and Latitude come standard with a five-speed manual transmission with an option to get a 6-speed automatic instead. With the Limited, the automatic is standard and the manual is an option. All three models can be purchased in either 4x2 or 4x4 versions. However, with the 4x4, the standard engine is the 2.4-liter, and the Sport comes standard with a manual and the other 2 models come with the automatic. With the Patriot, fuel efficiency capabilities vary depending on which combination of engine, drivetrain, and transmission types you choose. However, the best gas mileage is achieved if you go with the 4x2 Sport or Latitude models with the 2.0-liter 4-Cylinder engine and manual transmission. It gives you an EPA estimated 23 MPG City and 30 MPG Highway. On the inside, you find a comfortable cabin that is easy to utilize and maintain. Everything you need is easily within reach. Standard on all models is an audio jack for your mobile devices. Cargo space is generous in the Patriot too. Not only do you get 53.5 cubic feet of room when the rear seats are folded down, in the Latitude and Limited models you get extra space with a standard front passenger seat that folds flat. For safety, it comes with six airbags, Anti-lock brakes, brake assist, stability control, electronic roll mitigation, and hill start assist. Come in and drive the 2014 Jeep Patriot today! Source: The Manufacturer Summary Thank you for shopping at Olympia Jeep. We've built a car buying process designed around you to save you time. If we don’t have exactly what you’re looking for, we'll help you find the right vehicle for your lifestyle. It’s that simple. Call us today at 360-754-5500. 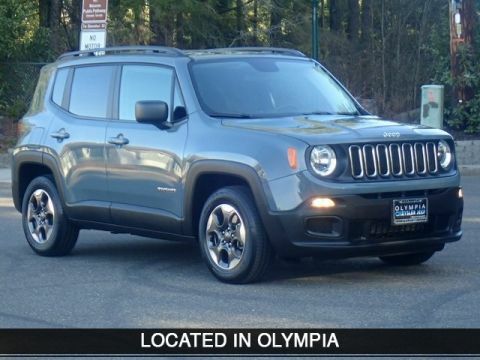 Plus you'll save an average additional tax savings over the competition of $240.00 when you buy from Olympia Chrysler Jeep in the Olympia Auto Mall. Vehicle may have dealer installed accessories for display purposes only, and may not be reflected in Selling Price. A dealer documentary service fee of up to $150 may be added to the sale price or capitalized cost. All current incentives listed are purchase only. See dealer for lease incentives. Thank you for shopping at Port Orchard Ford. We've built a car buying process designed around you to save you time and money. If we don’t have exactly what you’re looking for, we'll help you find the right vehicle for your lifestyle. It’s that simple. Call us today at 360.876.3000. Priced below KBB Fair Purchase Price! 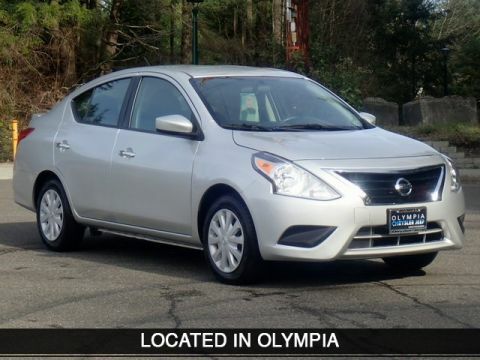 2018 Nissan Versa 1.6 SV 31/39 City/Highway MPG Clean CARFAX. CARFAX One-Owner. STILL UNDER THE MANUFACTURER'S BUMPER-TO-BUMPER WARRANTY! !, IN EXCELLENT CONDITION! !, ***CLEAN CARFAX***, ***1 OWNER***, LOW MILES! !, IT'S AT ***PORT ORCHARD FORD***. *The advertised price does not include sales tax, vehicle registration fees, finance charges, and any other fees required by law. A Negotiable Documentary Service Fee in an amount up to $150.00 may be added to the sale price or capitalized cost. We attempt to update this inventory on a regular basis. However, there can be lag time between the sale of a vehicle and the update of the inventory. There is a $395 disposition fee for leases. All current incentives listed are purchase only. See dealer for lease incentives. Thank you for shopping at Tacoma Subaru. We've built a car buying process designed around you to save you time and money. If we don’t have exactly what you’re looking for, we'll help you find the right vehicle for your lifestyle. It’s that simple. Call us today at 253.473.6200. Priced below KBB Fair Purchase Price! 2018 Nissan Versa 1.6 SV Clean CARFAX. CARFAX One-Owner. 31/39 City/Highway MPG DISCLAIMER: Dealer shall in no way be held liable for any errors or omissions to be found on these web pages. All prices are plus any applicable state taxes and fees. Prices are subject to change without notice. All vehicles are subject to prior sale. We will do our best to keep all information current and accurate however, the dealership should be contacted by phone, e-mail or in person for final pricing and availability. A dealer documentary service fee of up to $150 may be added to the sale price or capitalized cost. Vehicle may have dealer installed accessories for display purposes only, and may not be reflected in Selling Price. All current incentives listed are purchase only. See dealer for lease incentives. Call 253-473-6200 for more info! Priced below KBB Fair Purchase Price! 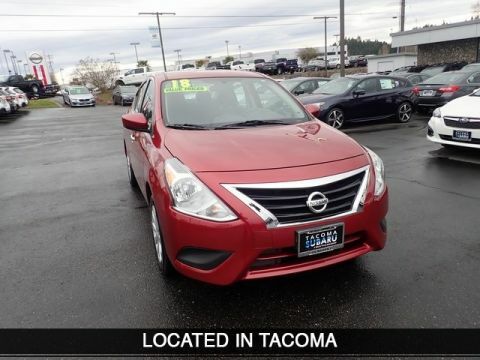 2018 Nissan Versa 1.6 SV Clean CARFAX. CARFAX One-Owner. ***360-754-5500***. 31/39 City/Highway MPG Thank you for shopping at Olympia Jeep. We've built a car buying process designed around you to save you time. If we don’t have exactly what you’re looking for, we'll help you find the right vehicle for your lifestyle. It’s that simple. Call us today at 360-754-5500. Plus you'll save an average additional tax savings over the competition of $240.00 when you buy from Olympia Chrysler Jeep in the Olympia Auto Mall. Vehicle may have dealer installed accessories for display purposes only, and may not be reflected in Selling Price. A dealer documentary service fee of up to $150 may be added to the sale price or capitalized cost. All current incentives listed are purchase only. See dealer for lease incentives. Priced below KBB Fair Purchase Price! 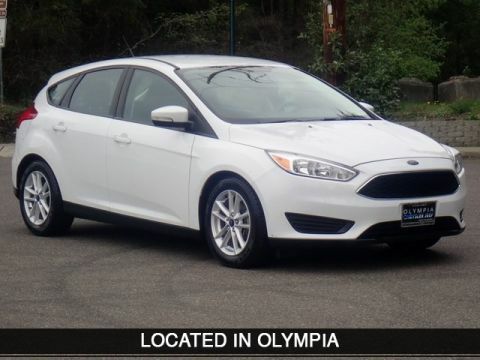 2016 Ford Focus SE CARFAX One-Owner. ***360-754-5500***. 26/36 City/Highway MPG Awards: * 2016 KBB.com Brand Image Awards Reviews: * Balanced ride and handling; quiet interior; attractive interior; abundant list of upscale and high-tech options. Source: Edmunds Thank you for shopping at Olympia Jeep. We've built a car buying process designed around you to save you time. If we don’t have exactly what you’re looking for, we'll help you find the right vehicle for your lifestyle. It’s that simple. Call us today at 360-754-5500. 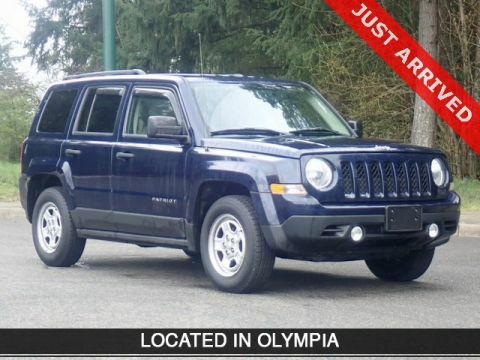 Plus you'll save an average additional tax savings over the competition of $240.00 when you buy from Olympia Chrysler Jeep in the Olympia Auto Mall. Vehicle may have dealer installed accessories for display purposes only, and may not be reflected in Selling Price. A dealer documentary service fee of up to $150 may be added to the sale price or capitalized cost. All current incentives listed are purchase only. See dealer for lease incentives. 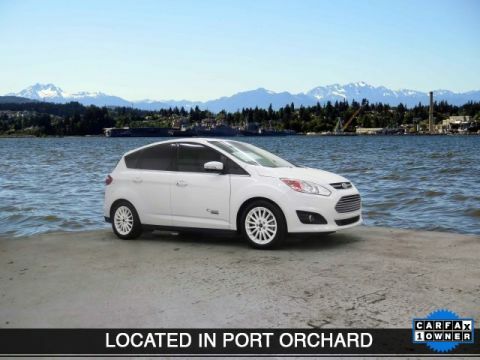 Thank you for shopping at Port Orchard Ford. We've built a car buying process designed around you to save you time and money. If we don’t have exactly what you’re looking for, we'll help you find the right vehicle for your lifestyle. It’s that simple. Call us today at 360.876.3000. Priced below KBB Fair Purchase Price! 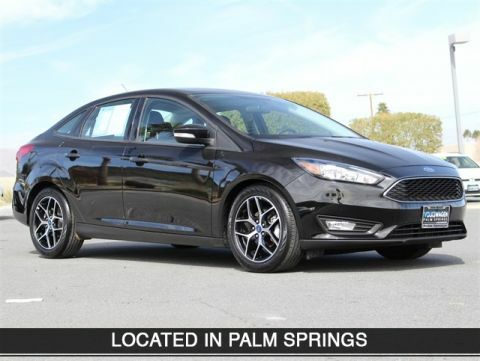 2017 Ford Fiesta Titanium 27/37 City/Highway MPG Clean CARFAX. CARFAX One-Owner. STILL UNDER THE MANUFACTURER'S BUMPER-TO-BUMPER WARRANTY! !, IN EXCELLENT CONDITION! 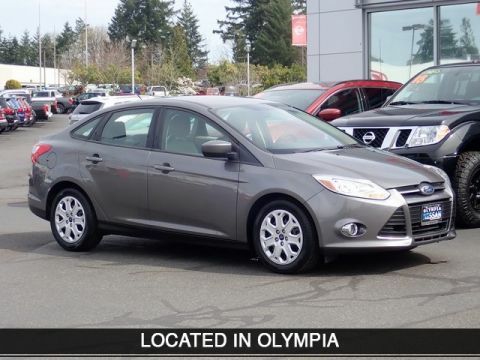 !, ***CLEAN CARFAX***, ***1 OWNER***, LEATHER, FORD SYNC, IT'S AT ***PORT ORCHARD FORD***, Equipment Group 300A. Awards: * 2017 KBB.com Brand Image Awards * 2017 KBB.com 10 Most Awarded Brands Reviews: * Sporty handling when going around turns; well-appointed interior with advanced technology options; peppy and fuel-efficient EcoBoost engine; ST model's zesty performance. Source: Edmunds *The advertised price does not include sales tax, vehicle registration fees, finance charges, and any other fees required by law. A Negotiable Documentary Service Fee in an amount up to $150.00 may be added to the sale price or capitalized cost. We attempt to update this inventory on a regular basis. However, there can be lag time between the sale of a vehicle and the update of the inventory. There is a $395 disposition fee for leases. All current incentives listed are purchase only. See dealer for lease incentives. 2011 Nissan Armada Platinum 4WD, 12 Speakers, 20" 6-Spoke Chrome Clad Wheels, 3rd row seats: split-bench, 4-Wheel Disc Brakes, ABS brakes, Air Conditioning, Auto-dimming door mirrors, Auto-leveling suspension, CD player, Entertainment system, Front dual zone A/C, Front fog lights, Fully automatic headlights, Heated door mirrors, Heated front seats, Heated steering wheel, Illuminated entry, Leather Shift Knob, Leather-Appointed Seat Trim, Memory seat, Navigation System, Outside temperature display, Pedal memory, Power door mirrors, Power driver seat, Power moonroof, Power windows, Radio: Digital Bose 265-Watt AM/FM/In Dash CD, Rear air conditioning, Remote keyless entry, Steering wheel mounted audio controls, Tilt steering wheel, Trip computer, Turn signal indicator mirrors!! Thank you for shopping at Olympia Nissan. We've built a car buying process designed around you to save you time. If we don't have exactly what you're looking for, we'll help you find the right vehicle for your lifestyle. It's that simple. Call us today at 360.754.5525. Vehicle may have dealer installed accessories for display purposes only, and may not be reflected in Selling Price. A dealer documentary service fee of up to $150 may be added to the sale price or capitalized cost. Vehicle may have dealer installed accessories for display purposes only, and may not be reflected in Selling Price. All current incentives listed are purchase only. See dealer for lease incentives. 2017 Nissan Sentra S Clean CARFAX. CARFAX One-Owner. ONE OWNER, CLEAN CARFAX...NO ACCIDENTS, CVT with Xtronic, Charcoal w/Premium Cloth Seat Trim, 4 Speakers, ABS brakes, Air Conditioning, AM/FM/CD Audio System, Illuminated entry, Outside temperature display, Power door mirrors, Power windows, Remote keyless entry, Steering wheel mounted audio controls, Telescoping steering wheel, Tilt steering wheel!! 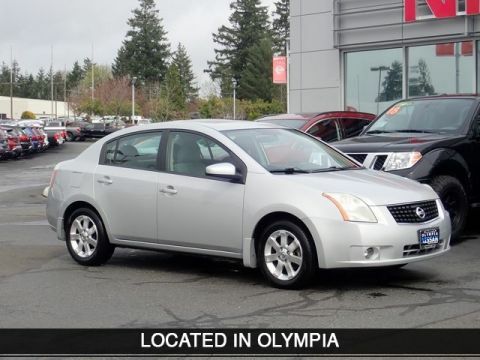 Thank you for shopping at Olympia Nissan. We've built a car buying process designed around you to save you time. If we don't have exactly what you're looking for, we'll help you find the right vehicle for your lifestyle. It's that simple. Call us today at 360.754.5525. Vehicle may have dealer installed accessories for display purposes only, and may not be reflected in Selling Price. A dealer documentary service fee of up to $150 may be added to the sale price or capitalized cost. Vehicle may have dealer installed accessories for display purposes only, and may not be reflected in Selling Price. All current incentives listed are purchase only. See dealer for lease incentives. Thank you for shopping at Port Orchard Ford. We've built a car buying process designed around you to save you time and money. If we don’t have exactly what you’re looking for, we'll help you find the right vehicle for your lifestyle. It’s that simple. Call us today at 360.876.3000. Priced below KBB Fair Purchase Price! 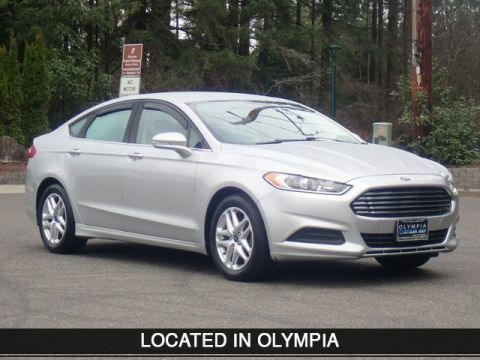 2017 Ford Fusion SE 21/32 City/Highway MPG Clean CARFAX. CARFAX One-Owner. STILL UNDER THE MANUFACTURER'S WARRANTY! !, IN EXCELLENT CONDITION! 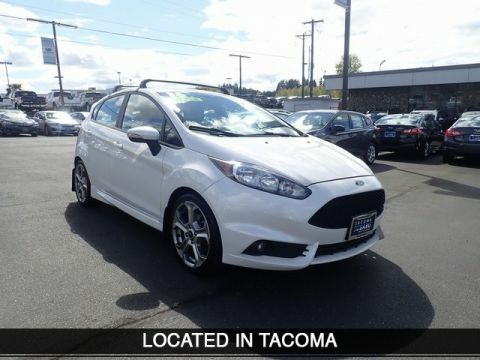 !, ***CLEAN CARFAX***, ***1 OWNER***, IT'S AT ***PORT ORCHARD FORD***, 6-Speed Automatic, Equipment Group 200A. Awards: * 2017 KBB.com 10 Best Sedans Under $25,000 * 2017 KBB.com Brand Image Awards * 2017 KBB.com 10 Most Awarded Brands Reviews: * Great mix of sharp handling and composed ride; turbo engines provide punchier acceleration compared to most competitors; quiet and elegantly designed interior with high-quality materials; available all-wheel drive Source: Edmunds * Fuel-efficient turbocharged engines; sharp handling; quiet cabin; advanced technology and safety features; improved touchscreen interface; available all-wheel drive. Source: Edmunds *The advertised price does not include sales tax, vehicle registration fees, finance charges, and any other fees required by law. A Negotiable Documentary Service Fee in an amount up to $150.00 may be added to the sale price or capitalized cost. We attempt to update this inventory on a regular basis. However, there can be lag time between the sale of a vehicle and the update of the inventory. There is a $395 disposition fee for leases. All current incentives listed are purchase only. See dealer for lease incentives. Thank you for shopping at Volkswagen of Palm Springs. We've built a car buying process designed around you to save you time and money. If we don’t have exactly what you’re looking for, we'll help you find the right vehicle for your lifestyle. It’s that simple. Call us today at 760.770.1100. Priced below KBB Fair Purchase Price! 2018 Ford Focus SEL Clean CARFAX. CARFAX One-Owner. 24/34 City/Highway MPG DISCLAIMER: Dealer shall in no way be held liable for any errors or omissions to be found on these web pages. All prices are plus any applicable state taxes and fees. Prices are subject to change without notice. All vehicles are subject to prior sale. We will do our best to keep all information current and accurate however, the dealership should be contacted by phone, e-mail or in person for final pricing and availability. A dealer documentary service fee of up to $80 may be added to the sale price or capitalized cost. Vehicle may have dealer installed accessories for display purposes only, and may not be reflected in Selling Price. All current incentives listed are purchase only. See dealer for lease incentives. Call 760.770.1100 for more info! 2016 Nissan Leaf S 126/101 City/Highway MPG Clean CARFAX. CARFAX One-Owner. ONE OWNER, CLEAN CARFAX...NO ACCIDENTS, 4-Wheel Disc Brakes, ABS brakes, Air Conditioning, Automatic temperature control, CD player, Charger Package, Illuminated entry, Outside temperature display, Power door mirrors, Power windows, Radio: AM/FM/Single In-Dash CD/MP3/WMA, Remote keyless entry, Steering wheel mounted audio controls, Tilt steering wheel!! Odometer is 5905 miles below market average! 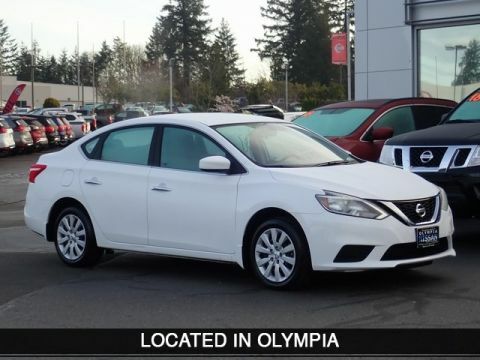 Thank you for shopping at Olympia Nissan. We've built a car buying process designed around you to save you time. If we don't have exactly what you're looking for, we'll help you find the right vehicle for your lifestyle. It's that simple. Call us today at 360.754.5525. Vehicle may have dealer installed accessories for display purposes only, and may not be reflected in Selling Price. A dealer documentary service fee of up to $150 may be added to the sale price or capitalized cost. Vehicle may have dealer installed accessories for display purposes only, and may not be reflected in Selling Price. All current incentives listed are purchase only. See dealer for lease incentives. Thank you for shopping at Tacoma Subaru. We've built a car buying process designed around you to save you time and money. If we don’t have exactly what you’re looking for, we'll help you find the right vehicle for your lifestyle. It’s that simple. Call us today at 253.473.6200. 2016 Ford Fiesta ST Clean CARFAX. 26/33 City/Highway MPG Awards: * 2016 KBB.com Brand Image Awards Reviews: * Sporty handling; well-appointed interior with advanced technology options; peppy and fuel-efficient EcoBoost engine; ST model's zesty performance. Source: Edmunds DISCLAIMER: Dealer shall in no way be held liable for any errors or omissions to be found on these web pages. All prices are plus any applicable state taxes and fees. Prices are subject to change without notice. All vehicles are subject to prior sale. We will do our best to keep all information current and accurate however, the dealership should be contacted by phone, e-mail or in person for final pricing and availability. A dealer documentary service fee of up to $150 may be added to the sale price or capitalized cost. Vehicle may have dealer installed accessories for display purposes only, and may not be reflected in Selling Price. All current incentives listed are purchase only. See dealer for lease incentives. Call 253-473-6200 for more info! 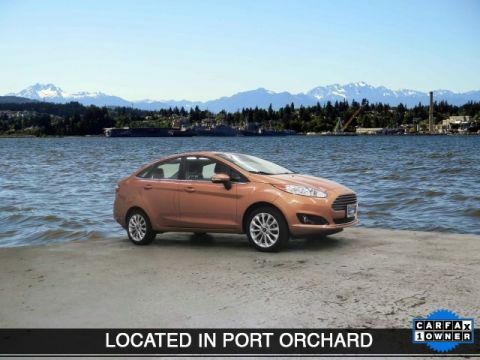 Thank you for shopping at Port Orchard Ford. We've built a car buying process designed around you to save you time and money. If we don’t have exactly what you’re looking for, we'll help you find the right vehicle for your lifestyle. It’s that simple. Call us today at 360.876.3000. Priced below KBB Fair Purchase Price! 2016 Ford C-Max Energi SEL 40/36 City/Highway MPG Clean CARFAX. CARFAX One-Owner. STILL UNDER THE MANUFACTURER'S BUMPER-TO-BUMPER WARRANTY! !, IN EXCELLENT CONDITION! !, ***CLEAN CARFAX***, ***1 OWNER***, LOW MILES! 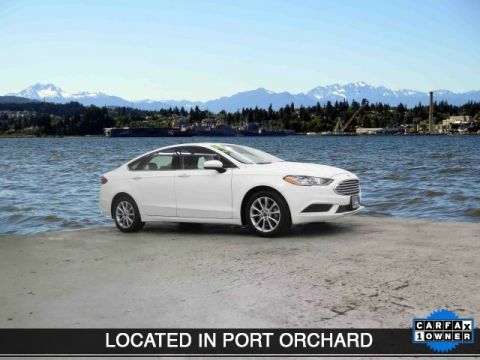 !, LEATHER, FORD SYNC, IT'S AT ***PORT ORCHARD FORD***, I4 Hybrid, Equipment Group 300A, Heated front seats, Leather-Trimmed Heated Front Bucket Seats, Rain sensing wipers, Wheels: 17" Sparkle Silver Painted Aluminum. Awards: * 2016 KBB.com Brand Image Awards *The advertised price does not include sales tax, vehicle registration fees, finance charges, and any other fees required by law. A Negotiable Documentary Service Fee in an amount up to $150.00 may be added to the sale price or capitalized cost. We attempt to update this inventory on a regular basis. However, there can be lag time between the sale of a vehicle and the update of the inventory. There is a $395 disposition fee for leases. All current incentives listed are purchase only. See dealer for lease incentives. 2017 Jeep Renegade Sport Clean CARFAX. CARFAX One-Owner. ***360-754-5500***. 22/30 City/Highway MPG Awards: * 2017 KBB.com 10 Coolest New Cars Under $18,000 * 2017 KBB.com 10 Best All-Wheel-Drive Vehicles Under $25,000 * 2017 KBB.com 10 Most Awarded Brands Reviews: * Lots of character with a classic Jeep look; agile handling when going around turns; plenty of easy-to-use technology features; best-in-class off-road capability with Trailhawk model. Source: Edmunds Thank you for shopping at Olympia Jeep. We've built a car buying process designed around you to save you time. If we don’t have exactly what you’re looking for, we'll help you find the right vehicle for your lifestyle. It’s that simple. Call us today at 360-754-5500. Plus you'll save an average additional tax savings over the competition of $240.00 when you buy from Olympia Chrysler Jeep in the Olympia Auto Mall. Vehicle may have dealer installed accessories for display purposes only, and may not be reflected in Selling Price. A dealer documentary service fee of up to $150 may be added to the sale price or capitalized cost. All current incentives listed are purchase only. See dealer for lease incentives.